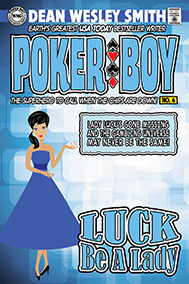 A Poker Boy story. Laverne, Lady Luck herself is missing. Poker Boy, Front Desk Girl, and Screamer are on the case as well as every other Gambling God and hero in the gambling universe. The three of them have the power to get to the truth of what happened to Laverne and save the world from unraveling. But without luck, they may not have the time.